Getting to Liverpool is easy if you know how. It's about 212 miles from London but a fast train will get you there in a little over two hours - so you could make a day trip of it. These travel directions will get you there. First of all, if I'm heading for Liverpool, I'll follow the sun - well it is in the Northwest of England so that makes sense. You'll probably need some more specific instructions though. Use these information resources to plan your trip. Liverpool has several railway stations but Liverpool Lime Street Station is the main terminus for trains from London. Virgin Trains runs direct services from London Euston Station hourly, at 7 minutes after the hour, throughout the day. The journey takes about 2h 20min. The cheapest off-peak advance fare I could find in August 2016 was £105, when purchased as two one-way tickets. But putting together the right combination of one way tickets by yourself is exhausting. It's far easier to be flexible about your travel times and let National Rail Enquiries search for you. Using their National Rail Enquiries Fare Finder, a feature that searches for the lowest fares. I found a round trip ticket of £24 - two one-way or single tickets at £12 each. That trip required a change of trains and took about 3h30min hours. If you don't mind spending a little extra time on the train, you could save quite a lot. When you use the tool, click "All Day" on the far left of the search box. That will land you the cheapest fare available. National Express operate frequent coach trips between London Victoria Coach Station, and Liverpool Coach Station throughout the day. The journey takes 5h30min to 6h30min. Some of the lowest fare journeys take more than 7 hours. The cost is between £12 and £30 return (round trip), depending upon what combination of one-way tickets you buy. Bus services can be booked online and there is usually a £1 booking fee. UK Travel Tip National Express offers a limited number of "funfare" promotional tickets that are very cheap (£6.50 for a £39.00 fare, for example). These can only be purchased on line and they are usually posted on the website a month to a few weeks before the trip. It is worth checking the website to see if "funfare" tickets are available for your chosen journey. Go to the home page and click on the "Online Exclusives" box to find the cheapest promotional fares, or go directly to the cheapest fare finder page. 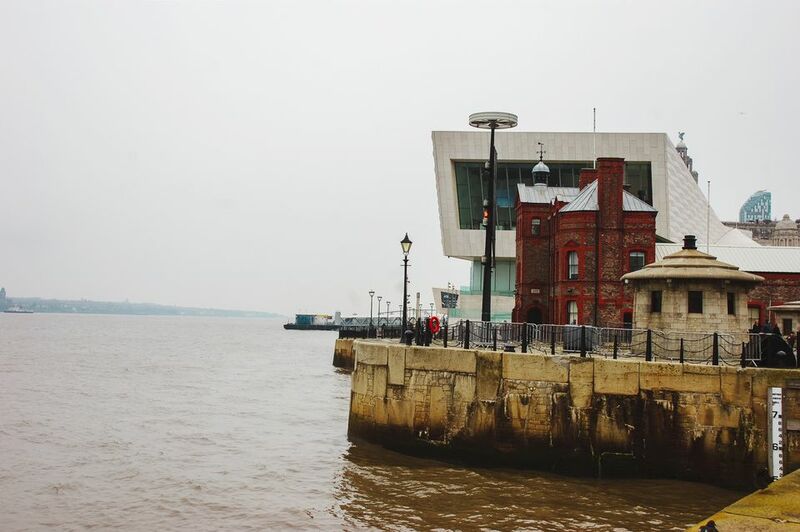 Liverpool is 212 miles northwest of London via the M1, M6, M42 and M62 motorways. It takes about 4 hours to drive - in perfect conditions without traffic (as if). Keep in mind that gasoline, called petrol in the UK, is sold by the liter (a little more than a quart) and the price is usually between $1.50 and $2 a quart. Use the Automobile Association Route Planner to map a route with suggested stopovers and gasoline stations. Parking - The City Council maintains several Liverpool city center car parks that are not very expensive. The price varies from parking lot to parking lot but £1 per hour or £4 for anything over three hours is typical.